The job you contract is the only job they're doing at the time. There's no leaving the job for three days and then coming back. The only job they have is yours. They were very neat. When they did the work, they cleaned up afterwards. They did a very professional job and were professional at all times. That they clean up after themselves, it was a 2-week installation, but they didn't leave things scattered, and they swept up any dust. They were great. Their reliable service, they were very professional, and they got the work done on time. The organization and execution of the project was perfect, and there wasn't a lot of back-and-forth. We had very clear information the whole time. ReBath by Schicker offers bathroom remodeling services to residential clients throughout the Greater Bay Area. 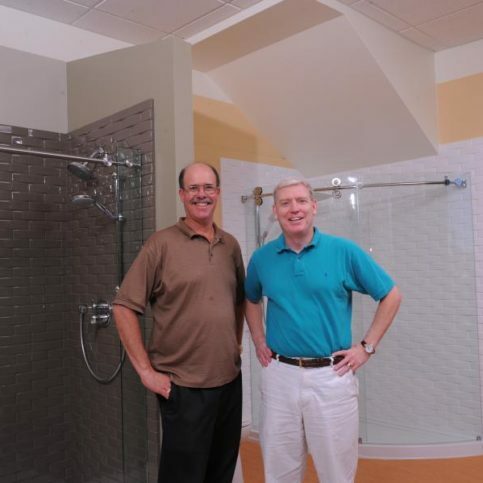 The company handles everything from converting traditional bathtubs into accessible showers or walk-in safety bathtubs to remodeling entire bathrooms. 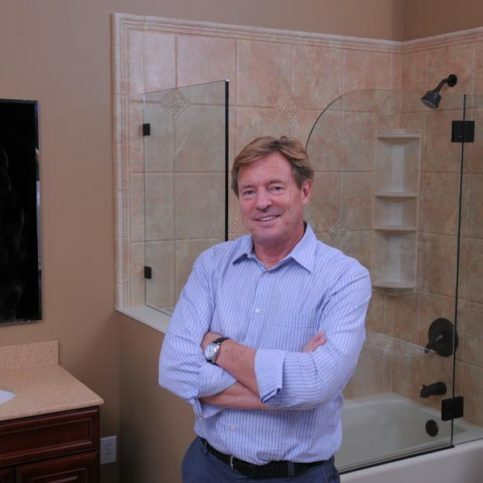 President Peter Schicker, founder of Schicker Luxury Shower Doors, has been in the construction/remodeling business for more than 30 years. Mr. Schicker says ReBath by Schicker’s remodeling experience offers a seamless process compared to traditional remodeling. Customers work with a designer to choose bathtubs, showers, flooring, vanities, and countertops that fit their styles and budgets. Then all materials are ordered and installed by ReBath employees. 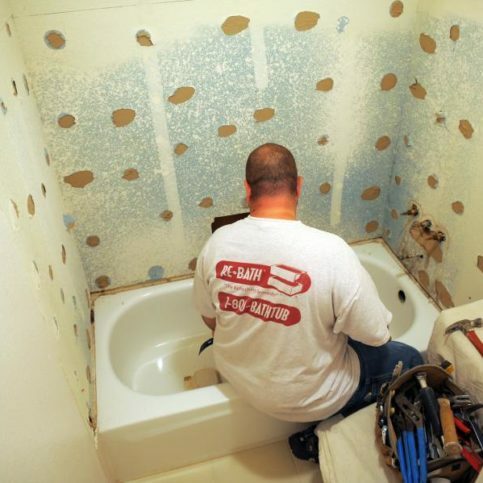 If a customer chooses an entire bathroom remodel, it will be completed in one to two weeks. ReBath by Schicker also provides free in-home estimates. 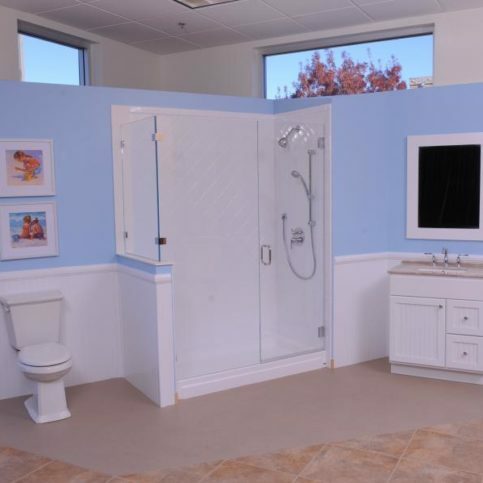 If customers wish to see samples of installed products, they can visit the company’s bathroom showroom in Concord. From traditional to contemporary, ReBath by Schicker can help customers create the bathrooms of their dreams. 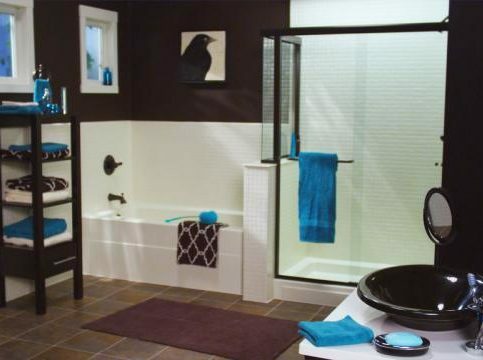 When clients call Concord-based bathroom remodeler ReBath by Schicker, they immediately have the option of meeting with a designer who listens to their ideas and walks them through numerous design options and selections. According to company president Peter Schicker, the designer will also provide an exact and fixed price for any project, so there are no surprise bills at the end. ReBath by Schicker’s designers revisit clients’ homes and re-measure to ensure all specifications are correct. When the materials are in hand at its warehouse, the company starts installation, which takes one to three days. According to Mr. Schicker, ReBath’s DuraBath Solid Surface Polymer (SSP™) bathtubs and shower bases offer numerous advantages over cast iron, pressed steel and fiberglass units. He says his company’s durable high-gloss finish doesn’t dent, rust, peel, or crack, and the SSP surface is warm to the touch and easier to clean than fiberglass units. 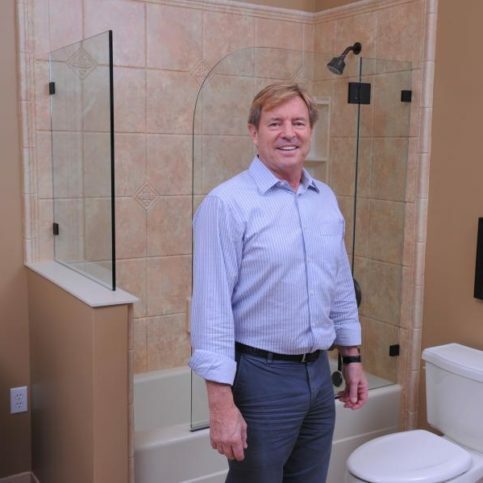 Mr. Schicker says bathroom remodeling isn’t a one-size-fits-all business, so his company’s designers and installers take time to understand each client’s requirements and needs. 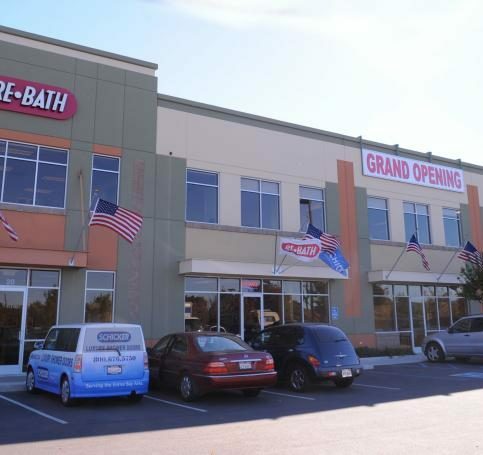 Customers can visit Re-Bath by Schicker’s 5,000-square-foot Concord showroom to see different options, color palettes, cabinets, countertops, and textures for wall systems. 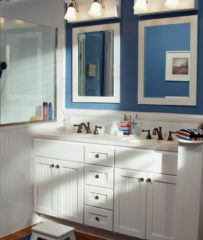 When considering a bathroom remodel, there are four factors a homeowner should consider regarding any proposed design. Adequate ventilation. Bath fans should supply at least one cubic foot per minute for every square foot of space. For larger baths, two smaller fans—one for the shower and one near the toilet—are usually better than one large fan. Adequate lighting. Grooming and personal care requires good lighting. Ensure light placement doesn’t create shadowed areas. Frosted glass can cut glare. Shower lights need to be watertight, and a fan/light combination in the shower is often a good choice. Safety. Statistically, bathrooms are dangerous places. 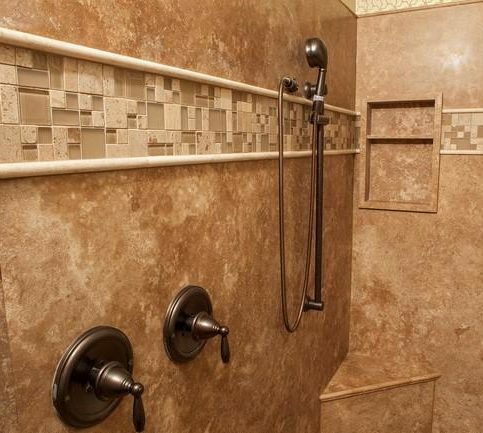 Ensure you have slip-resistant finishes on floors, especially in the shower and tub. Rounded countertop edges are safer, as are properly installed grab bars in the shower and tub. 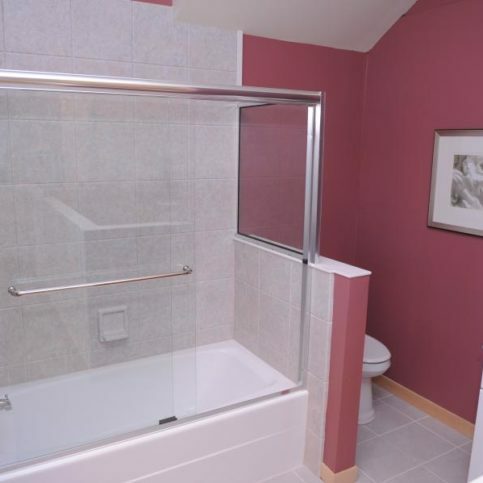 Mature homeowners, or those with mobility issues, should consider converting tubs to showers or installing walk-in tubs. Adequate space. Bathrooms are crowded places, but there should be at least 30 inches of space between the front of any fixture and the opposite wall. 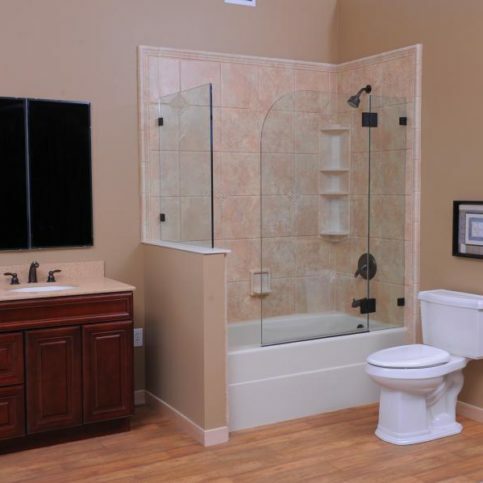 Spend time on a bathroom remodeling plan and ensure it’s the right design for you. Once the plan is in place, don’t change it—that’s the most common cause of cost overruns and delays. When it comes to comparing the cost of multiple bids, Peter Schicker, president of Concord-based remodeling contractor Re-Bath by Schicker, warns against low-ball bids that are often followed by change orders that increase the cost of a project. Having a specific and detailed plan at the start of work can protect against such practices. Be wary of bids that rely on allowances for yet-to-be-specified work. It’s usually better to choose a firm that provides a detailed, highly specific bid and stands behind it. 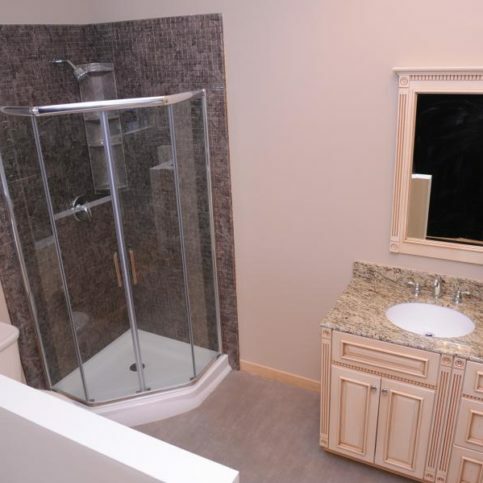 When it comes to bathroom remodels, an experienced contractor should be able to provide accurate cost estimates if the design is properly detailed and specified. Q: What is DuraBath Solid Surface Polymer (SSP)? A: It’s a proprietary material that was co-developed with Spartech, the largest developer of polymers in the United States. Over the course of 31 years, we’ve enhanced and advanced its formulations so it won’t stain, crack or provide an environment for mildew or bacteria to grow. 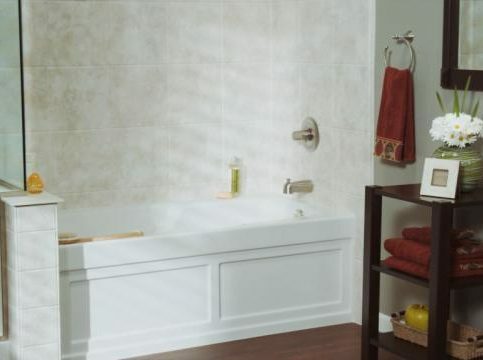 Q: How long does it take to install a Re-Bath system? A: From one to three days. We won’t begin the installation until all the materials are in hand. Q: Do you handle permits? A: Yes, we’ll pull all the necessary permits for any job. Q: How long will a Re-Bath system last? A: We provide a lifetime warranty, and that’s also backed by the manufacturer, Re-Bath Corporate. The warranty is transferrable if you sell your home within the first 12 months. Q: Can you convert a bathtub into a shower? A: Yes, that’s something we do quite often. Q: Do you re-glaze or repaint tubs? A: No. We don’t consider re-glazing or repainting to be permanent solutions, because they have to be redone every few years. In contrast, our DuraBath SSP is permanent, whether it’s applied to a tub overlay, brand new tub or a new shower panel wall system. Q: Do you recommend putting in a tub liner? A: That’s one solution. We offer a variety of possibilities. We can do something as simple as a tub liner with a new wall system, or we can replace the tub and shower pan. It really depends on the client’s budget and what they’re trying to achieve with the design. Q: What do you do with the walls? A: That depends on the condition of the bathroom. We can overlay the surface with our product, or we can replace the wall surfaces. Our trained installers will assess what’s needed at the start of the project. We’ll have a clear idea of what wall preparations are needed to best ensure that the final installation lives up to our quality guarantee. A: No. All our installers are employees who are fully background checked and drug tested. We ensure all our employees meet our standards before we let them into your home. Q: Do you maintain a clean jobsite? A: Absolutely. When we come to your home, we’ll lay down tarps to protect the floor surfaces. We keep our work confined to the spaces in which we’re working, and we clean up at the end of every day. When the job is done, we’ll haul away all the waste material and debris. 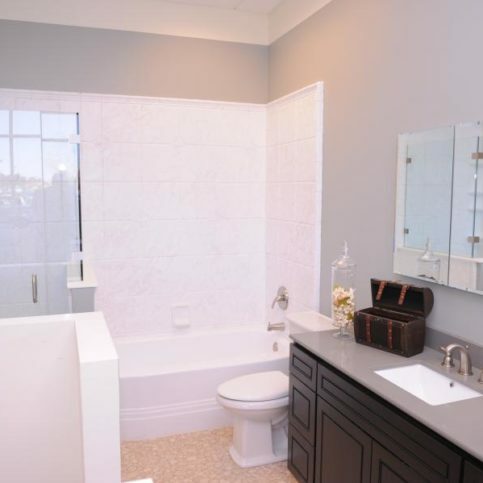 ReBath by Schicker’s design center features 15 bathroom vignettes so customers can get ideas for their bathroom remodels. 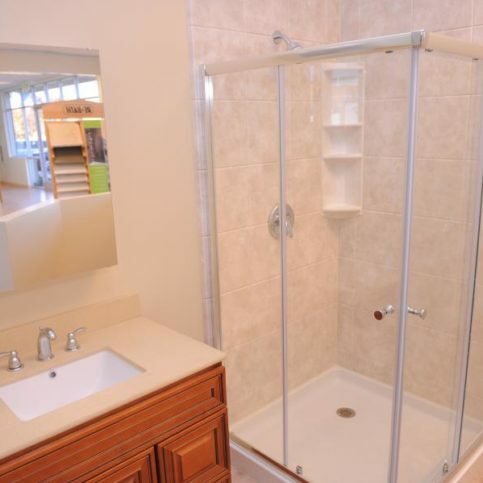 Before: ReBath’s own employees will remodel your bathroom in less than a week! Another happy ReBath customer with his bathroom design consultant! Kimeri Opacic is marketing director of ReBath by Schicker, a Diamond Certified company since 2009. She can be reached at (925) 309-5867 or by email. A: Gigi—a fitting name for a purebred French poodle. A: Mustards Grill in Napa. A: Music—I played the violin and was part of a youth symphony. A: My Raggedy Ann doll. Q: Do you share a birthday with anyone famous? A: Bruce Willis and Glenn Close. CONCORD — When remodeling your bathroom, it’s important to consider how long you plan to live in your home and if you want to age in place. If so, you’ll want to take measures to improve safety and accessibility in your bathroom. 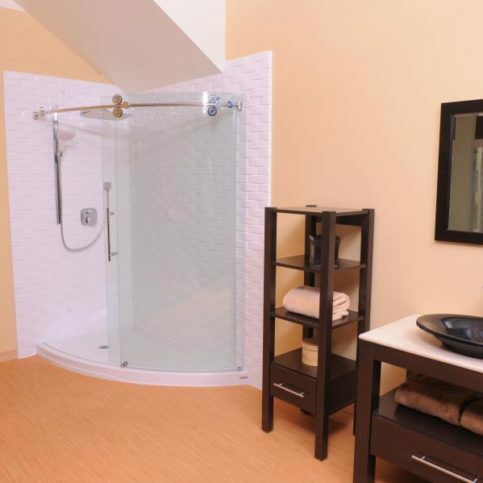 The first thing to do is consider your tub and shower options. 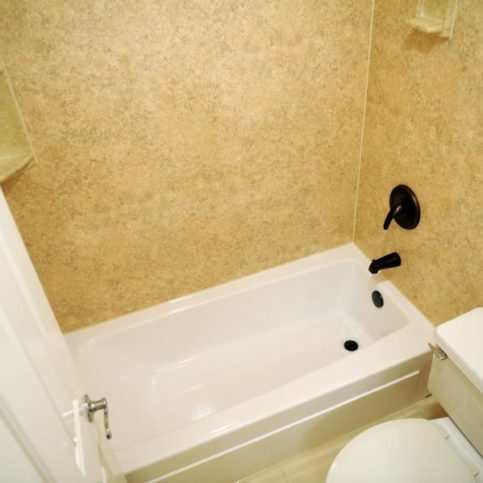 Whereas a traditional bathtub can pose a danger to those with limited mobility, a walk-in bathtub is equipped with a door that provides a lower, more safely accessible entryway. 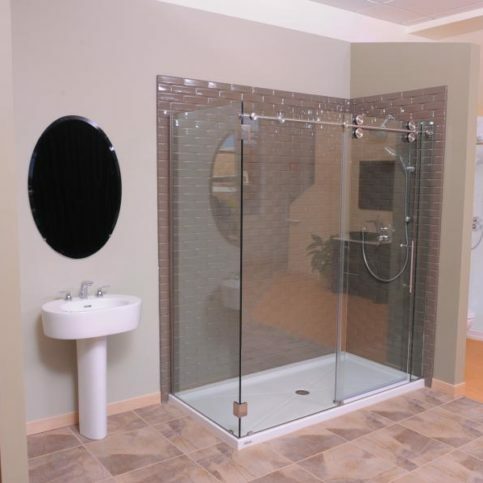 You also might consider converting your current shower to one with a zero threshold, which means the entryway is level with the floor to allow easy access for walkers and wheelchairs. Another important component of bathroom safety is grab bars. While traditional grab bars can help prevent slips and falls, they often have an unpleasant, institutional look to them. Fortunately, there are lines of designer accessories—towel bars, toilet paper holders and soap dishes that also act as grab bars—that enhance a bathroom’s safety without diminishing its aesthetic qualities. CONCORD — Host, Sarah Rutan: The bathroom can be one of the most dangerous rooms in the home. Today we’re in Concord with Diamond Certified Expert Contributor, Kimeri Opacic of ReBath by Schicker to learn a few ways that you can make your bathroom safer. Diamond Certified Expert Contributor, Kimeri Opacic: When you’re remodeling your bathroom, you may want to consider if you’re going to stay in your home a long time and if you want to age in place. 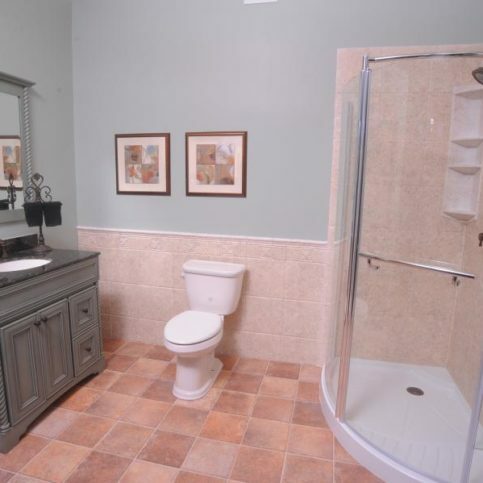 There are a lot of things you can choose to make it easier to get in and out of the bathroom. If you don’t really care about baths, you can convert your bathtub into a shower with a seat that makes it a lot easier to – with a low threshold to get in and out of. But if you absolutely love taking a bath, you can install a walk in tub that also has a low entry and you still have the enjoyment of a bathtub without stepping into a traditional bathtub. You may also want to consider a zero threshold shower where the floor is even with the entry to the shower. 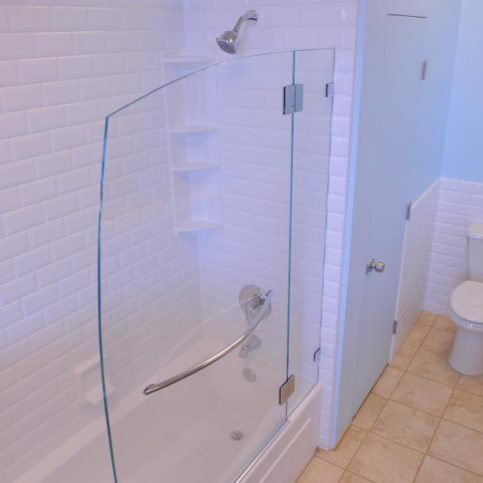 So, someone in a wheelchair or with a walker can easily access the shower. The bathroom is the most dangerous place in the home. Grab bars can help prevent slip and falls, but sometimes look very institutional. There are lines of designers of accessories, including towel bars, toilet paper holders, and soap dishes that also act as grab bars. They enhance the home’s beauty and provide safety at the same time. ReBath by Schicker : Average 9.0 out of 10 based on 254 unique customer surveys of customer satisfaction. I don't think they should say something is a lifetime guarantee when they charge you for it, and they charged us to come out. They should tell people at the time of purchase what the deal is. Nothing really stands out, but it could have been done better for the price. They were very pricey, but under-delivered. They were okay at the sale, but just didn't deliver the job. I guess the guy who did the installation was good, but we had to keep having them come back and sort of beat on them to get it done. The thing that was really weird was that after everything was done, they didn't include painting in the bid. They are really good, and they do what they say. They are very responsive and professional. The crew was professional and did good work. The communication, the explanation with each phase, they kept us in the loop. They are a little pricey, but it is very good craftsmanship. They did an excellent job. They were in and out quickly. The job was done outstandingly. They did a good job of planning and going over everything. I show my bathroom to everybody. They were good to work with. How quickly they were able to do what they needed to do. Excellent installation, and they did it on time. They came back, because something needed an adjustment. The quality of the service. They were efficient, quick, and the job was done well. The way they presented everything the first time, the guy brought all of the materials to my home. Very professional and quick, they were fantastic. I would say to use them. They are very good at their work. You can't go wrong, quality work and very professional people. I would recommend them. They were very helpful and very neat. They cleaned up every day and did everything that I asked. They were on time and didn't waste time, which is important. I was very satisfied. One important thing, they used their own employees. They didn't use subcontractors. I was happy with the job but unhappy with the time span. It took a month instead of a week. The quality was great, and the journeymen were great too.